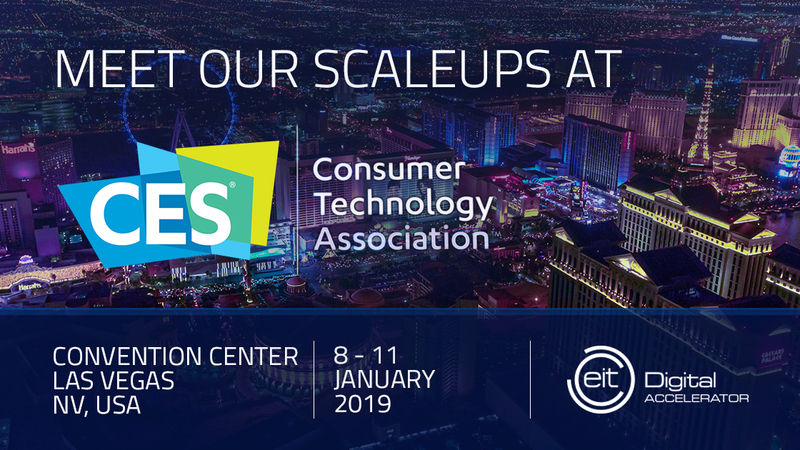 From 8 to 11 January 2019, global technology leaders from all industries are meeting at CES in Las Vegas to introduce the latest innovations to the global market. CES is the world's gathering place for all who thrive on the business of consumer technologies. The event is expecting over 180,000 attendees from 155 countries including Fortune 500 executives, manufacturers, retailers, corporate buyers, venture capitalists, engineers, government officials, financial analysts and the media. From tech powerhouses to innovative startups, companies of all sizes come to Las Vegas to present their solutions in artificial intelligence, vehicle technology, drones, augmented and virtual reality, 3D printing, robotics, sensor tech and many other technology areas. EasyBroadcast offers an innovative end-to-end OTT streaming solution, from ingesting content to delivering it. Their patented technology aims to reduce streaming CDN bandwidth while improving the quality of video and audio contents. Enerbrain gives energy intelligence to every building thanks to a ground-breaking Plug & Play kit coupled with machine learning algorithms to save and manage energy while improving comfort. In a few days and without modifying HVAC systems, Enerbrain not only detects parameters such as humidity, temperature and CO2, but optimizes them in real time. Minut helps people create a feeling of wellness and comfort at home for themselves and their families. Its solution Point is an all-in-one connected device that monitors multiple factors in the home, including motion, noise, humidity, pressure and mold risk. If any threats are detected, an instant notification is sent to the owner and his selected network of friends and family. Easy to self-install, Point combines cutting-edge technology with beautiful design and everyday practicality at a fraction of the cost of other home security offerings. Toposens developed the first 3D ultrasound sensor worldwide. Similar to the principle of echolocation used by bats, the sensor perceives its near-field environment purely with ultrasonic signals. The startup focuses on the automotive and robotics markets and equips autonomous vehicles. At CES 2019, Toposens will present its latest product - the Automotive Development Kit - to the public for the first time. The DevKit is targeted towards automotive companies that want to prototype and implement the 3D ultrasound sensor technology on their own. Gestoos is an AI platform that enables cameras and sensors to see, understand and respond to human movement and behaviour in any environment or context. ProGlove develops a smart glove that enables manufacturing and logistics staff to work faster, safer and easier. Process steps can be documented hands-free and the smart glove gives instant feedback to its user. Uavia is the European leader in cloud-connected robotics. Its pioneering platform enables industries to connect their drones and robots to the cloud. Multiple users across the world can now control heterogeneous fleets of drones and robots while having data processed, analysed and shared in real-time for various applications. Vulog builds the technology solutions that power the most successful shared mobility businesses in the world. Free-floating, round-trip, peer-to-peer car and scooter sharing, ride-hailing, hybrid services or autonomous mobility pilots: all models are hitting the streets with Vulog's smart and flexible SaaS mobility solution. AudEERING develops intelligent audio analysis for speech, music and sound that recognizes emotions and context. At the CES 2019, together with its partner Danish sound expert Jabra audEERING is presenting their first joint product the "Jabra Elite 85h headphones". The latest headphones of the "Elite" series enable optimal sound experience thanks to intelligent acoustic scene analysis and adaptive filtering.